Marvel's Spider-Man is one of the best superhero games ever made so you can assume that a lot of gamers are looking forward to its first piece of DLC. Called The Heist this campaign starts the 3 part adventure in The City that Never Sleeps and it's everything one could hope for. Delivering the same solid Spider-Man experience the core campaign provided and ending with an enticing cliffhanger that will keep players yearning for the next part. 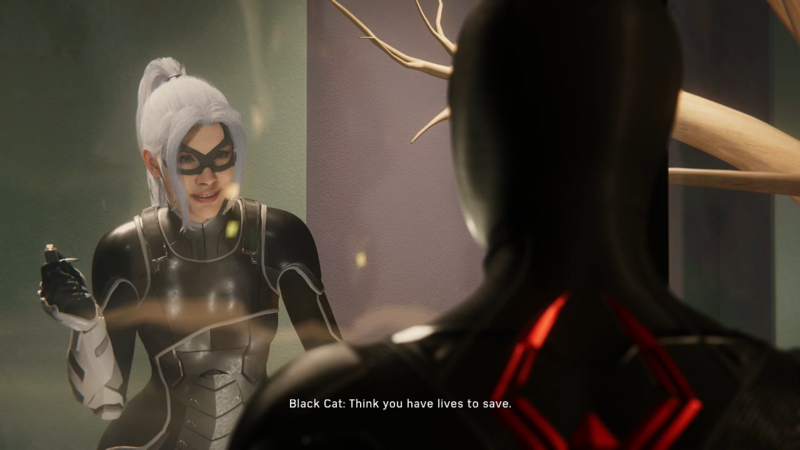 The Heist has Spider-Man in the middle of a gang war between several factions, and everything is centered around Black Cat. Felicia Hardy has got herself in some trouble and Spider-Man, being the good guy he is, tries to help her. What follows is a series of tensed situations involving not only Black Cat and Spider-Man's current situation but past encounters. The story does a lot to connect Spider-Man's past and his relationship with Black Cat. It's done very well thanks to strong writing that captures Black Cat's manipulative and flirty nature and Spider-Man's naive and sometimes blind ideals. This campaign does take place after the main story and gives Insomniac time to touch on story aspects left behind. What feels out of place is Mary Jane, not in the dialogue but in her sneaking part. It breaks up the action and almost feels forced compared to the other situations she's been in. The Heist does add some new elements that feel welcomed but sometimes unwanted. 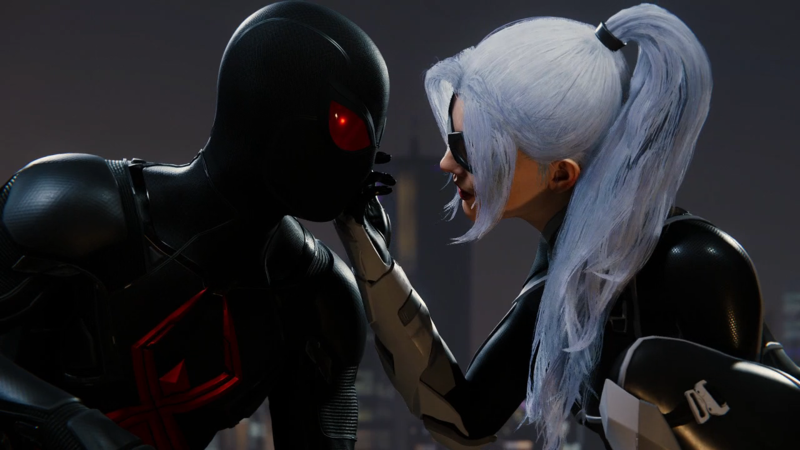 For example, Spider-Man and Black Cat do team up for some fighting and it's amazing to have a partner who complements Spider-Man's skills while also holding their own. However, when teaming up for stealth you can completely ignore Felicia's assistant since it requires her to be in position and the player to input the command to take action. It was much easier just to perform all the takedowns as Spider-Man. What The Heist excels at is delivering the same quality story that the campaign provided. Granted, this is 1 of 3 parts but Insomniac has done a fantastic job of setting up the beginning of this adventure so players feel invested and excited of what's to come. Once you're done there are challenges and more collectables to earn that add more story to the overall experience. The Heist provides the same quality adventure that core campaign provided. It's only about 2 hours but as a beginning for what's to come. The Heist gives an excellent taste of the upcoming adventure. The only issue now is waiting for the next part.